While lots of plants are looking rather sad, the globe thistle (Echinops and uncertain of the cultivar or its origin), while a bit shorter than usual, is flowering pretty normally. These are tough plants and quite drought tolerant, up to a point, and the upper midwest is getting to that point awfully fast. As you can tell from the inflorescence, this is a member of the Aster or Sunflower family. 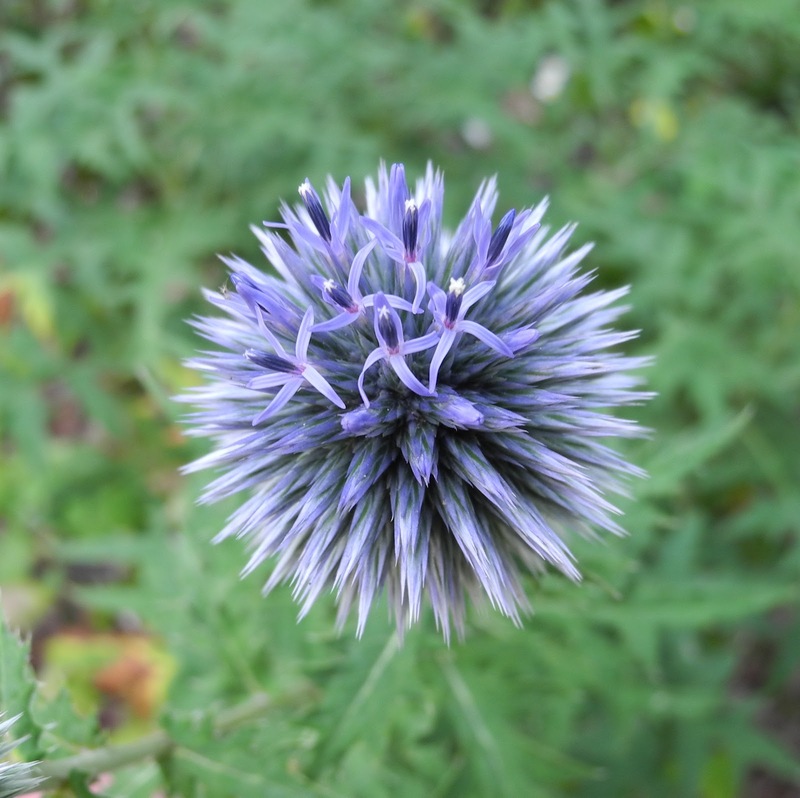 Rather than forming a flat head, the globe thistle gets its name from having a globose head. It also has no ray flowers, the ones that form the "petals" in sunflowers. This one is just beginning to flower and it will attract a pretty wide array of visitors. The individual flowers with 5 corolla lobes are pretty easy to see while in things like sunflowers you have to look much closer. The plant's foliage is a bit coarse, thistly, so best to plant them among other perennials of similar height. It's good to have some tough plants around that will provide some color no matter what.